In Friday’s edition of the Wilkes Journal-Patriot, we featured the top nonconference football games to look out for. Now here’s a look at the key Mountain Valley Athletic Conference contests to circle on the calendar. West Wilkes at Wilkes Central/ East Wilkes at North Wilkes (Sept. 23) The MVAC season gets started with a pair of intra-county contests. For the Blackhawks, the contest against the Eagles represents an opportunity to defeat their county rival for the first time since 2006. Additionally, West Wilkes hasn’t won its league opener since the 2008 season — the longest skid among county teams. Single digits have decided only three contests between the two teams since the 2004 season — in 2005, 2006 and 2013. The Cardinals’ run to an undefeated MVAC record last season started with a shutout win against the Vikings. North Wilkes hasn’t won an MVAC game since 2013 and has been outscored, 63-0, in the last two matchups with East Wilkes. The Vikings bested the Cardinals, 49-32, in 2013. North Wilkes at Alleghany (Oct. 7) The Vikings were so close to picking up their first MVAC win on Homecoming Night last season against Alleghany. Leading 13-12 late in the fourth quarter, North Wilkes allowed a touchdown from Alleghany’s Tristan Villarruel in the final minute of play. After the score, the Vikings still had a chance to win the game but the Trojans’ Keaton Albertson picked off Dylan Bauguess in the end zone to seal up an 18-13 victory. Each program struggled during the 2015 season as the Vikings won one game while Alleghany won three. But both teams have had successful seasons recently. North Wilkes earned a share of the MVAC title in 2013 while the Trojans advanced to the fourth round of the North Carolina High School Athletic Association 1A state playoffs in 2014. East Wilkes at Ashe County (Oct. 14) Last year’s matchup between the Huskies and Cardinals can be summed up in one word — electric. The action between East Wilkes and Ashe County was so exciting and intense last season that the power went out four times at Ebb Tharpe Field in the Cardinals’ 31-28 win. Key players from both teams may have graduated but both bring back plenty of talent. Strong quarterback play will be on display with the Cardinals’ Bryce Vestal and Colin Ellis for the Huskies. East Wilkes’ Jared Wood and Ashe County’s Judd Price emerged last season as each signal caller’s most reliable receiver. Before the Cardinals won the MVAC championship outright, the Huskies earned shares of MVAC titles in 2013 and 2014. This year’s contest is in West Jefferson — a place the Cardinals has never defeated Ashe County High School. The last time East Wilkes won a football game in West Jefferson was in the 1996 season when it defeated now-defunct Beaver Creek, 44-14. The Cardinals defeated all three teams from Ashe that year. West Wilkes at Elkin (Oct. 14) Last year’s contest between West Wilkes and Elkin was not only the Blackhawks’ homecoming game but it also served as the turning point for them. At the time, West was 2-5 and winless in the MVAC (0-3 at the time) but was able to scratch out a 20-15 win. The Blackhawks proceeded to win their next two games and qualify for the 2A state playoffs for the first time since 2002. West and Elkin have traded homecoming games each year since the 2011 season. The Buckin’ Elks’ homecoming contest this year is against North Wilkes on Sept. 30. 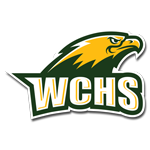 East Wilkes at Wilkes Central (Oct. 28) The 2015 edition of the East Wilkes-Wilkes Central matchup was an instant classic that came down to final possession of the game. Not only did Carlos Aquino’s 25-yard field goal, as time expired to give the Cardinals a 24-21 win but wrapped up the program’s first conference championship since 1995. Despite losing starting running backs from last season, there’s still plenty of talent left on both teams, so expect another tight contest. West Wilkes at North Wilkes (Oct. 28) Whether each team is having a good year or a down year, both teams always seem to get up for this game. Recently though, the final outcomes haven’t been close as just three of the last 10 matchups have been determined by single digits. The most recent one was the Blackhawks’ thrilling 35-28 come-from-behind win in 2012 when they trailed 28-7 late in the third quarter. West Wilkes owns an 8-2 advantage in previous 10 contests with the Vikings winning in 2008 and 2013.